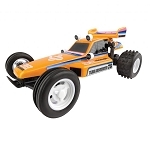 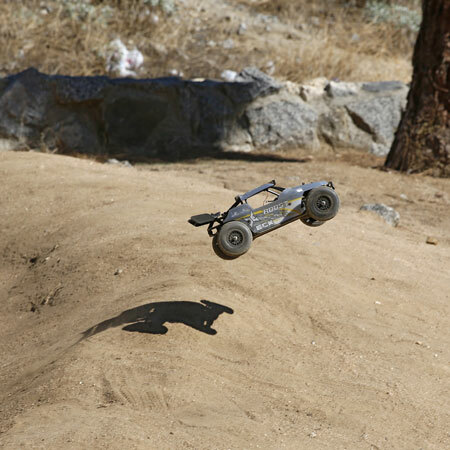 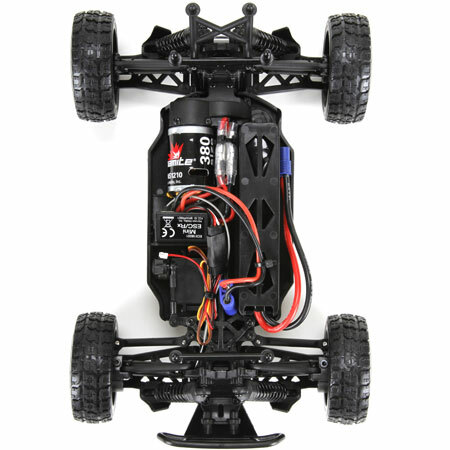 Ricochet, rebound and start a riot with the 4WD 1/18-Scale ECX® Roost™ Desert Buggy. 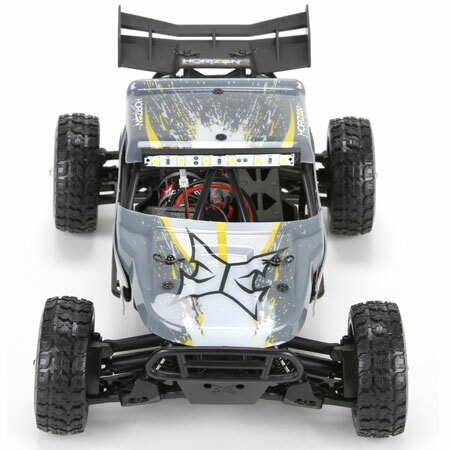 This desert dominator comes prepared to stomp out competitors with an unbeatable RTR package and distinctive buggy design that stands out, even while it’s standing up to abuse. 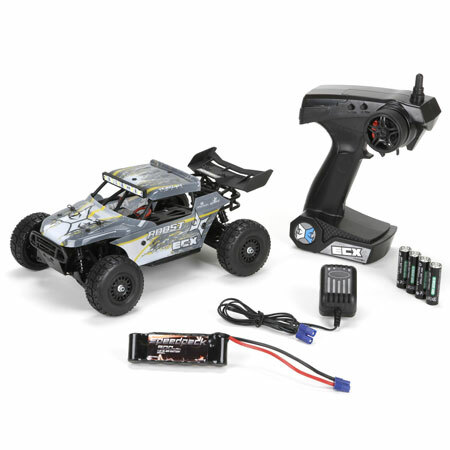 The Roost DB features a relentless combination of waterproof electronics and a shaft-driven 4WD drivetrain designed to keep you driving whenever and wherever you decide to hit the pavement. 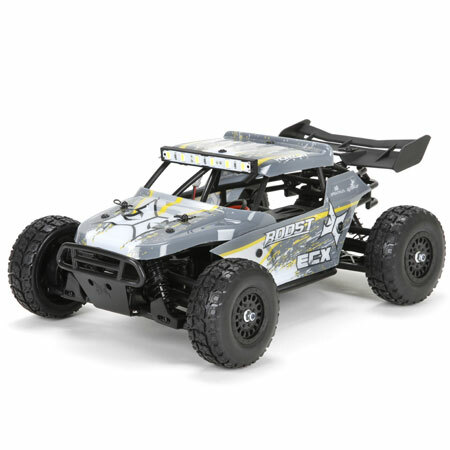 Best of all, the Roost handles just like a real desert buggy and even looks the part thanks to a multi-panel body, high-intensity LED light bar, and oil-filled shocks. 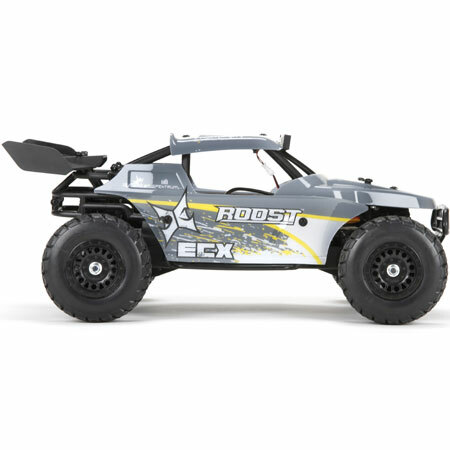 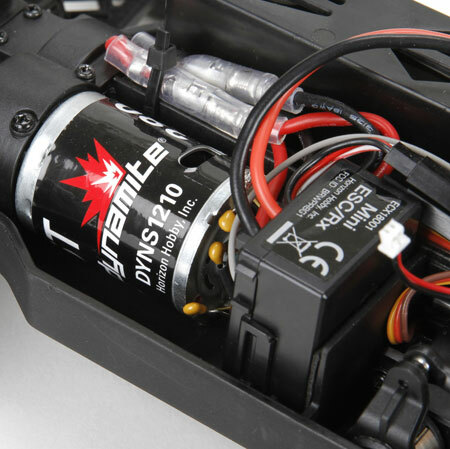 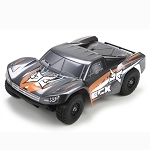 Whether you want to sling sand, pulverize pavement or hit maximum air, the 4WD 1/18-Scale ECX® Roost comes ready to take on any and all challenges.